Interview by Erol Avdović (WEBPUBLICA) New York – A well known figure at the United Nations the Belgian jurist Srege Brammertz a former chief prosecutor for International Criminal Court for former Yugoslavia (ICTY) on June 27 this year (2018) was re-appoint as prosecutor of the International Residual Mechanism for Criminal Tribunals (MICT) until the end of June 2020. The United Nations Security Council voted 14 in favor and none against, with one abstention. 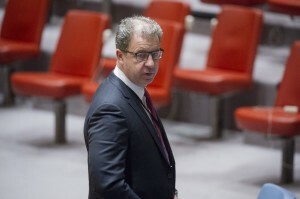 Russian ambassador to the UN Vassily Nebenzia casted the only abstained vote saying at the time his delegation didn’t vote in favor for Mr. Brammertz since the situation within the Residual Mechanism “was far from cloudless”, mentionoing his objections on MICT administration, staffing and “approaches to justice”. Russian envoy complained about Bosnian Serb general Ratko Mladić (who was convicted for genocide in Srebrenica), saying “he had repeatedly been denied release from detention for medical treatment in the Russian Federation despite exhaustive guarantees by that country”. In a exclusive interview for Webpublicapress (WPP), Mr. Brammertz, the former prosecutor of Belgium (Prosecutor-General at the Liège Court of Appeal), academic, author and internationally acclaimed jurist talked about Mladić’s and other UN court cases, and other issues related to criticism of the IYTY work, but also about the future of UN established Residual Mechanism. Mr. Brammertz who also served on the Justice and Internal Affairs committee of the European Commission and led major research studies on cases of cross-border corruption and trafficking in human beings in Central Europe and the Balkans also talked about future of the Western Balkans – reconciliation and EU values and prospective. 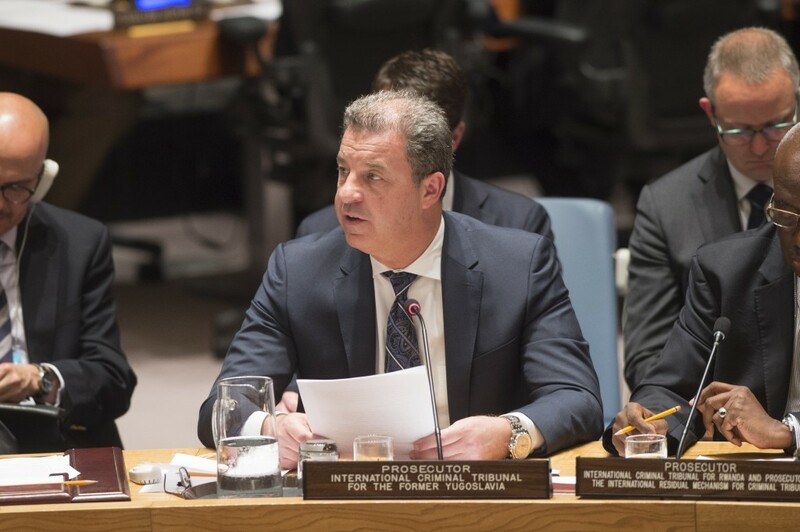 (WPP) – Now at the end of one era – of almost a quarter century of United Nations formed International Criminal Tribunal for Former Yugoslavia can you tell what is the most important lesson that you have learned and that has to be shared with public? 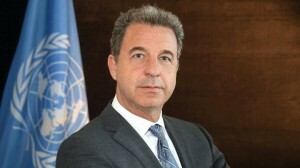 Serge Brammertz (SB): Every ICTY Prosecutor learned a lot of lessons in carrying out our responsibilities. 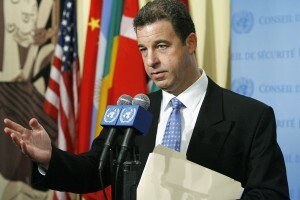 The ICTY achieved credible results over its 24 years of existence. We prosecuted many of the most responsible for the crimes, and secured landmark convictions. We uncovered the truth of what happened during the conflicts in the former Yugoslavia and significantly contributed to the development of international criminal law. Yet, it took us 24 years to complete our mandate. But what I have learned is that unlike normal criminal prosecutions, investigating complex war crimes takes time. My experience as Prosecutor has taught me that often, we have to accept that to be successful, more time is needed than we would necessarily wish. We need to understand the crimes first, but then we had to undertake difficult investigative activities to gather the evidence we needed to link for example Karadzic and Mladic to those crimes, such as the testimonies of insider witnesses and documentary evidence we were eventually able to obtain from archives. In prosecuting these cases, experience has shown that there are no shortcuts and no substitutes. And what is your biggest regret? There are of course many areas where we could have done more. I am very well aware how much we did not accomplish, and how much remains to be done. My Office must regard the acquittals in cases like Gotovina, Haradinaj, Orić and Perišić as setbacks, because we were convinced that we had the evidence to prove their guilt yet the Judges did not agree. And there are still so many victims waiting for justice today, or who do not yet know the fate of their loved ones. 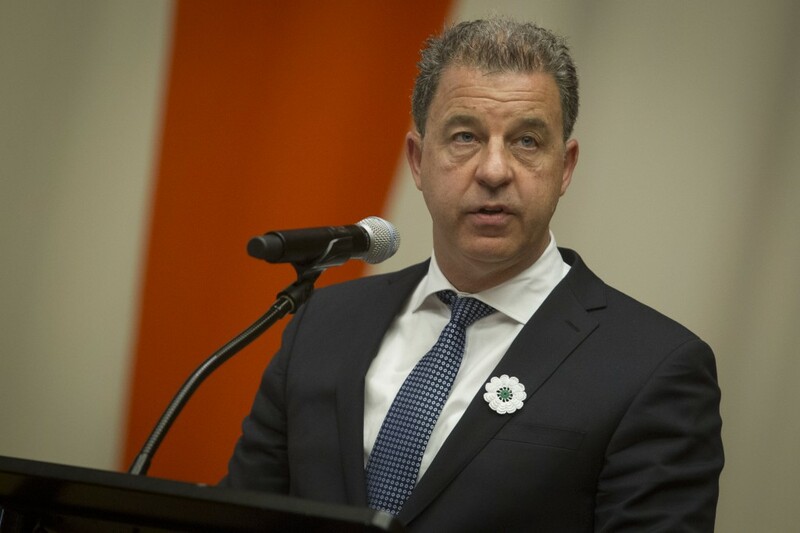 But for me, recognizing what the ICTY did not achieve is the motivation to now continue working to support our colleague prosecutors in the region. For many years, the ICTY Office of the Prosecutor was in the driver’s seat. Now, our national colleagues are in charge and have to set the direction. We will provide them our full support and assistance, because the task ahead is immense. I trust in their professionalism, but I worry that they do not have the same kind of political support that my Office always enjoyed. 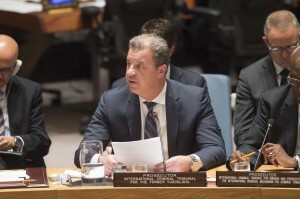 The governments in the region have not sufficiently shown that they have the courage to support war crimes justice, acknowledge the wrongdoings of the past and promote reconciliation. - You are now the chief prosecutor of the Residual Mechanism, how it will actually work: Will the Mechanism be under the UN umbrella (will you report to UN Security Council regularly)? The UN Mechanism for International Criminal Tribunals (‘MICT’) was established in 2010 by the UN Security Council, as the legal successor to both the International Criminal Tribunal for Rwanda (‘ICTR’) and the ICTY. In my capacity as MICT Prosecutor, the UN Security Council has directed that I report every six on the activities of my Office both in Arusha and The Hague. - How much it will cost (yearly budget projections) – bearing in mind that one of the biggest objection for ICTY besides being too slow for so many years – is that it has spent a fortune? 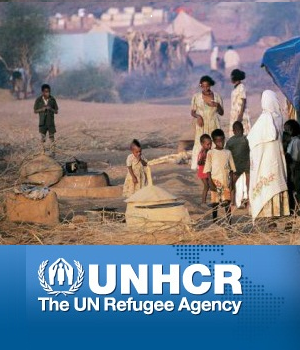 The budget of the MICT publicly available information from the United Nations. 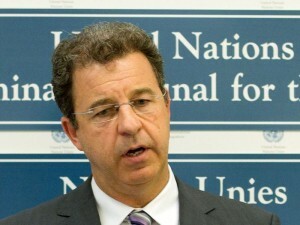 ICTY had a staff of 425 from 69 nationalities; how many people will work for the MICT? There were times when the ICTY had even more employees. As far as the MICT Office of the Prosecutor is concerned, our office is lean, as the Security Council directed. The exact number of staff depends on our judicial activities and it will change over time; currently, there is one re-trial (Stanisic and Simatovic) and three appeal proceedings (Seselj /was completed on February 26 – 2018/, Karadzic and Mladic) on-going in The Hague. We also need staff to pursue and hopefully arrest the 8 fugitives indicted by the ICTR. Over time, however, there is no question that my Office will become smaller. confident that, for example in Bosnia and Herzegovina, where are, as you said according to the biggest Bosnian daily newspaper “Avaz” (www.avaz.ba) – “around 3.000 cases” war criminals) – will be able to prosecute them in certain amount of time; after all, it took 24 years for ICTY to prosecute only 161 cases? I fully trust that my colleagues in the region recognize their professional responsibility to deal with the huge number of remaining cases. Prosecutors in BiH have the biggest number of cases, but there are still many cases to be processed in Serbia and Croatia as well. But this is truly a regional issue, and to achieve results, investigators, prosecutors and judges from throughout the region will have to play their part. Without judicial cooperation within the Western Balkans countries, national accountability for war crimes is impossible. At the moment, regional cooperation is at a low point. As was the case in the past, my Office continues to work with its regional and European partners to advance regional cooperation and national war crimes prosecutions. - You also said, ICTY enjoyed support from Brussels and Washington, can you tell us precisely what kind of support it was and will it continue with the Residual Mechanism? The ICTY indeed received support not only from Brussels and Washington but also from many other countries. 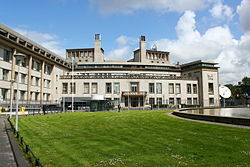 The ICTY could not have achieved its mandates without the continued diplomatic and political support it received. The biggest challenge my Office faced was securing the cooperation of the States of the former Yugoslavia, particularly to access evidence and arrest of fugitives. For many years, governments of Bosnia and Herzegovina, Croatia and particularly Serbia, refused to provide cooperation, hindering our investigations and delaying our trials. In overcoming these challenges, the conditionality policy of the US and EU proved critical. For instance, by linking progress in the EU accession process to full cooperation with my Office, conditionality policies resulted in the arrest of all remaining fugitives, notably Gotovina, Karadzic and Mladic. - This support will continue with the Mechanism, but even more importantly, national prosecutors and judges need the same support today so that they can overcome challenges and achieve results. What do you tell those who see and complain about the support of chief Western Powers to the ICTY seeing that in fact as a “political pressure”? Did you have the same or different a support or “pressure” from Russia? I must underline that I never felt political pressure of any kind, and the professionals in my Office always took decisions based on the evidence and the law. My Office received significant support from countries that believe those responsible for committing horrific international crimes must be brought to justice. We are immensely grateful, as without that support our mission would have been truly impossible. That of course includes Russia, which as a member of the Security Council provided valuable support to the OTP in different forms, including by creating the ICTY. - You said war in Bosnia (from 1992 – to 1995) was not civil war but an aggression: Was it aggression from Serbia, and if so – how come that we didn’t see more clear reflection in the case of Ratko Mladic who was one of the generals on the pay-roll of Serbian? I think you may have misunderstood me. I have clearly said that my Office proved on numerous occasions that different forces from Serbia and Croatia participated in the war in Bosnia and Herzegovina, and that some leaders of these forces committed crimes against humanity, war crimes, or genocide. The crime of aggression is not a crime over which the ICTY/MICT has jurisdiction, so that is not a term that we use. comes to Bosnian, although this journalist doesn’t agree with this? Also, it can not be equity between Ratko Mladic and Radovan Karadzic with Slobodan Praljak and Jadranko Prlic … Croatian forces did not commit genocide in Bosnia, but rather were helpful in saving Bihac for example? Is this comparison somehow wrong? As I have stressed many times in the past, the ICTY prosecuted individuals and not states, parties, peoples, or entities. Our job was to bring to justice those who bore the greatest responsibility for the crimes. As I said after Ratko Mladic was convicted at trial, his guilt is his and his alone, and we reject in the strongest terms claims that this was a verdict against the Serbian people. The question you are asking is not for prosecutors, but for historians and others. What I will say is that all the crimes we prosecuted were horrific and shocked the conscience of humanity. Each victim deserves our fullest sympathy and respect for their suffering. - ICTY rejected the claim that genocide in Bosnia and Herzegovina was committed also in six municipalities other than Srebrenica: What are your thoughts as a jurist and someone who is familiar with the evidence? Is it fair to say that genocide was committed actually in whole Bosnia and Herzegovina, or how to formulate this? In a number of cases my Office successfully proved that different individuals were guilty of committing Genocide in Srebrenica in 1995.We have also charged some of our accused persons with genocide for the crimes committed in a number of municipalities throughout Bosnia and Herzegovina in 1992. So far, the Trial Chambers have refused to enter convictions for the latter. My Office consistently appealed those decisions; we are currently awaiting the Appeals Chamber’s decision in the Karadzic case and we are considering whether to appeal the Mladic Trial Chamber’s decision on this issue. It goes without saying that if I strongly believe that the evidence in our possession is sufficient to prove genocide in the municipalities. Otherwise, I would not have brought those charges nor appealed the acquittals. - Why the ICTY and you personally were not more aggressive and persistent in seeking Vojislav Seselj to be brought back to Hague by the Serbian authorities? One would get the impression that this is done for political reasons – to help Aleksandar Vucic to push Serbia toward the EU? Is this at the expense of justice? The Judges decided that his attendance was not required for the pronouncement of the trial judgment in his case. That was based on their interpretation of our rules of procedure. I strongly reject the suggestion that political factors influenced the decision. After all, the ICTY President and my Office were strongly critical of Serbia’s non-cooperation in the Jojic et al. contempt case. - Was the release of Seselj for “medical reasons,” because of the “cancer metastasis“, which he oddly surprised was a farce to which the ICTY agreed and what do you hope in your appeal to the Trial Chamber in that case? My Office appealed the acquittal of Seselj on two grounds: first, that the Trial Chamber erred in law by failing to deliver a reasoned judgment, and second, that the Trial Chamber erred in fact by acquitting Seselj, as no reasonable trier of fact could have found him, on the basis of the evidence, not guilty of all the charges. The appeal judgment is expected on 11 April 2018. We hope that our appeal will be granted. - What do you expect, is your voice and opinion – through the MICT will be heard or even taken as condition sine qua non when EU will be deciding whether Serbia, and to that respect Bosnia and Herzegovina, Kosovo and others will be about to join EU? The decision to welcome Serbia, Bosnia and Herzegovina, Kosovo, as new EU member states is a decision that is entirely up to the European Union and its Member States. However, as has been the case in the past, EU Member States will probably be interested in and give due consideration to my Office’s assessments of the progress made in domestic war crimes prosecutions by candidate and potential candidate countries. - But, should Serbia join EU with this level of cooperation with International Justice; Serbia or Croatia, now member of EU didn’t follow the example of Germany and France, instead they are still hostages of Balkan’s burden past? In countries like Serbia and Bosnia and Herzegovina, we see the desperate need for European values and institutions. But we also have to ask ourselves whether their leaders are truly willing and able to make the necessary changes, not just in their laws, but in their mindset. One thing is clear to me as a European citizen: when it comes to the accession process, the EU must insist that it is a community of values, including in particular the rule of law, and refuse to compromise on these principles. An important test will be whether the countries of the former Yugoslavia continue what we started at the ICTY by independently and impartially prosecuting war crimes in their national courts. I would agree with you that the situation is moving in the wrong direction. Dangerous ideas from the past seem to have gained in strength again. Sentenced war criminals are more and more often glorified as heroes. The facts established by the ICTY are being denied by a number of irresponsible politicians. But, I certainly hope that the new generations will be able to overcome the ghosts of the past and to realistically evaluate events from the 90’s. How long it will take to overcome this since ICTY didn’t bring the reconciliation? Yet, do you think – did it help reconcile at least some historical misunderstanding? ICTY alone cannot bring reconciliation. The facts established in the Tribunal’s judgments can be one of the vehicles for reconciliation. But reconciliation can only be achieved with active participation of political structures in the countries of the Western Balkans and people in those countries. The time it will take is very hard to predict but if we compare the situation in Europe when it emerged from the Second World War to the situation today in the Western Balkans, not as much progress has been made as we would have hoped. As early as 1951, six European countries, including France and Germany, founded the ancestor of the European Union. Today, politicians in the Western Balkans countries are still debating the same issues as in 1990 and cannot agree on simple questions, let alone on a shared understanding of the recent past. However, I have full confidence in the younger generations, who I often meet with and who I hope will resist making the same mistakes of the past. and sound to keep them well – these documents not to be hurt from an unwanted event? The final location of the archives will be decided by the Security Council, but for the foreseeable future they will be kept in The Hague. But the judicial records of our proceedings are available to the public. They can be accessed through the website, and in the future there will hopefully be more places where “copies” of the archives will be accessible.